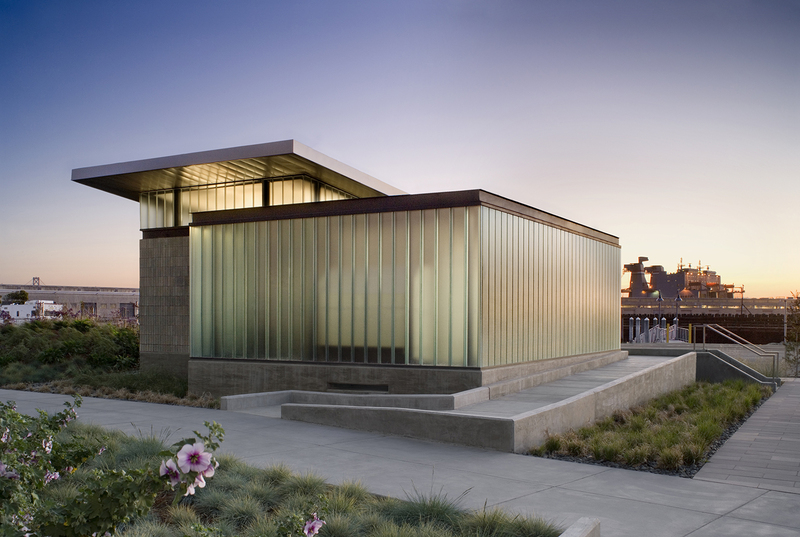 Park amenities in the rapidly-developing Mission Bay area accommodate water infrastructure and provide shelter and human scale, but these sculptural pavilions are also designed to provide architectural identity in the district's new open spaces. 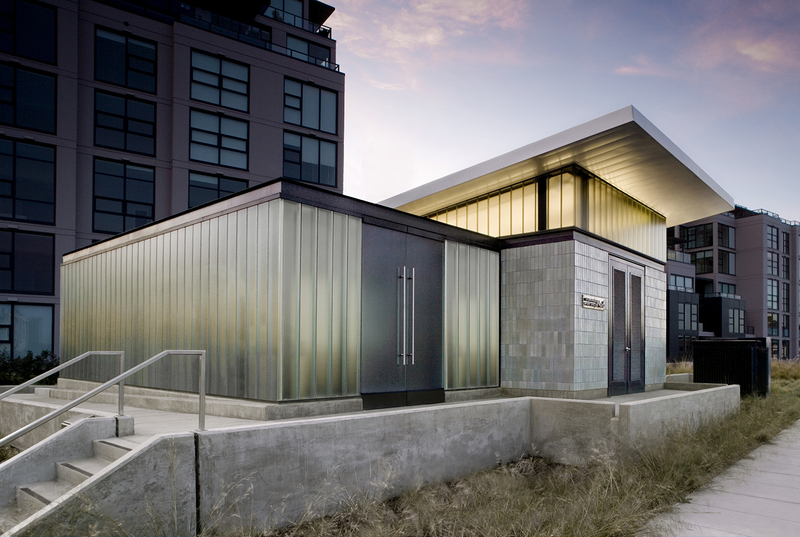 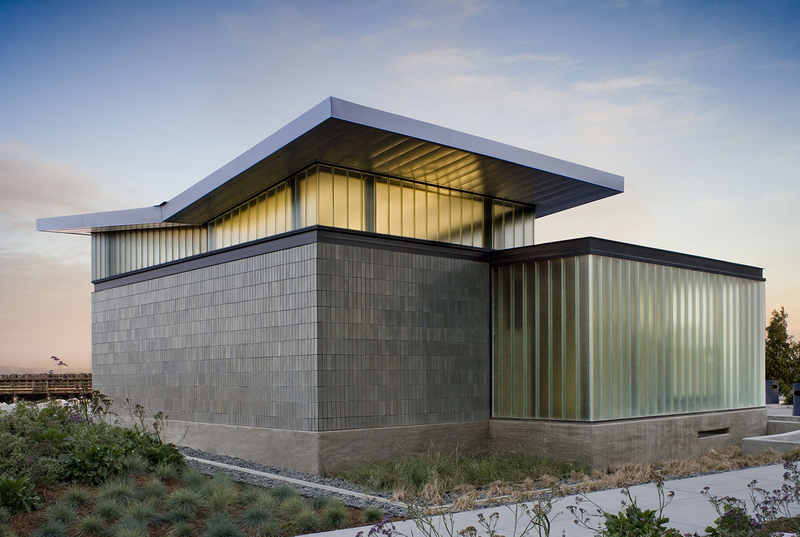 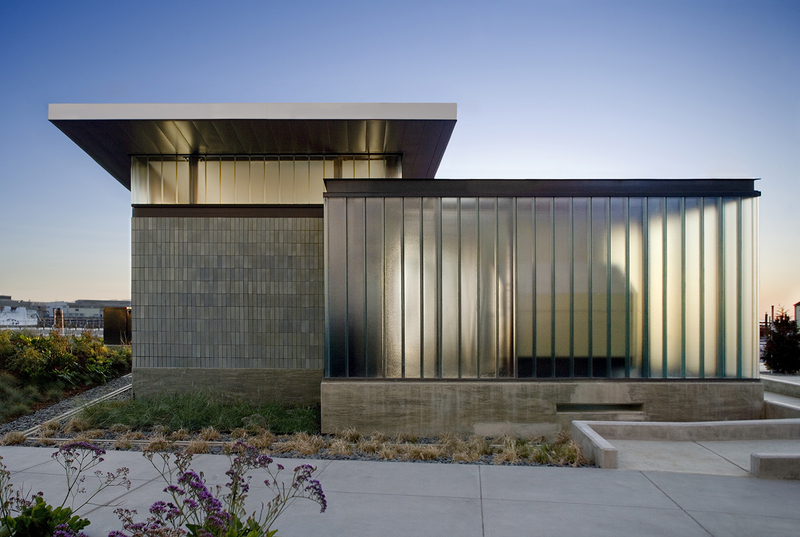 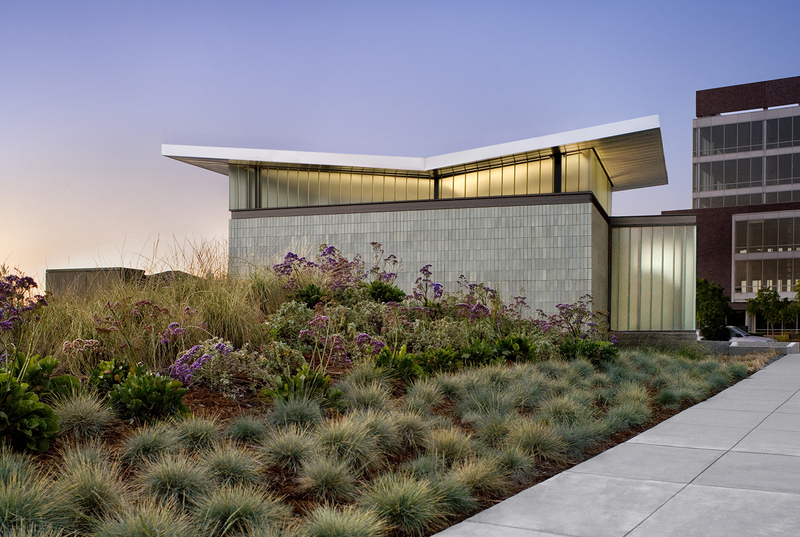 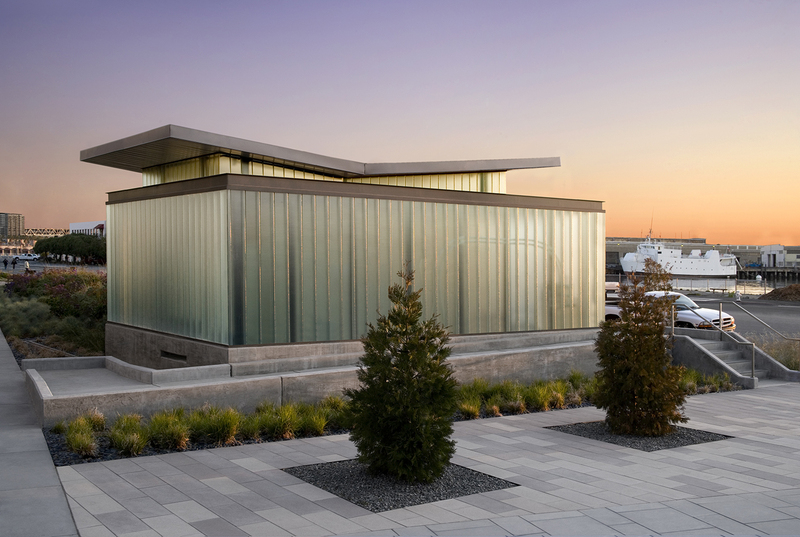 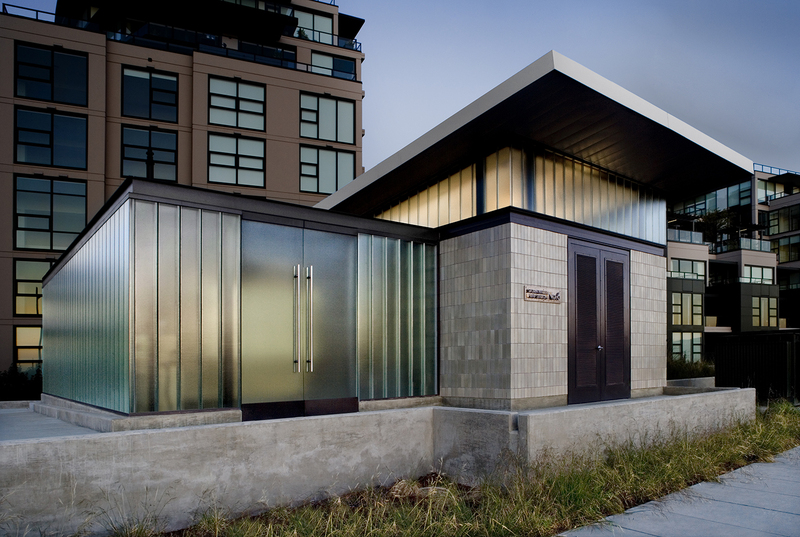 Translucent channel glass reveal subtle views to the storm and wastewater functions within, while standing seam zinc roofing, metal soffit finishes, exposed structural steel, and glazed ceramic tile affirm the contemporary material and formal language of the park design. 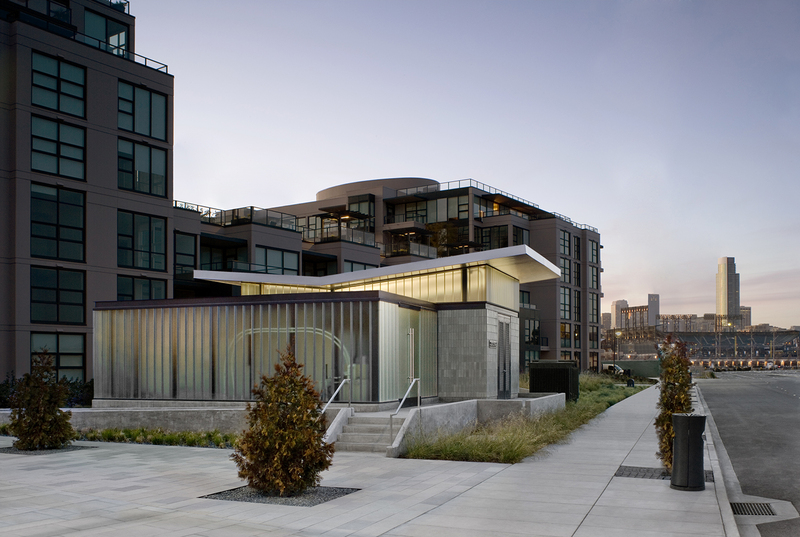 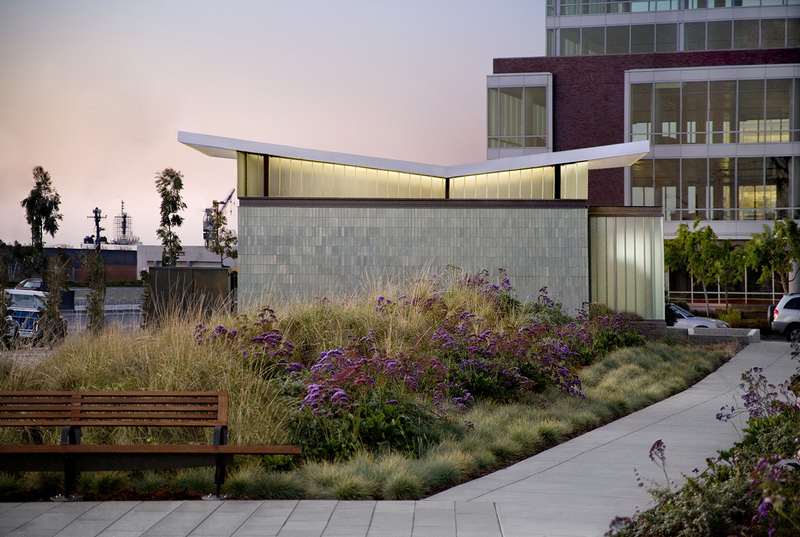 Set within a linear series of parks called "the Commons" and connecting the east and west ends of Mission bay, amenities in Park 15 also include a restroom and kiosk building that provide opportunities for community display and small scale retail.